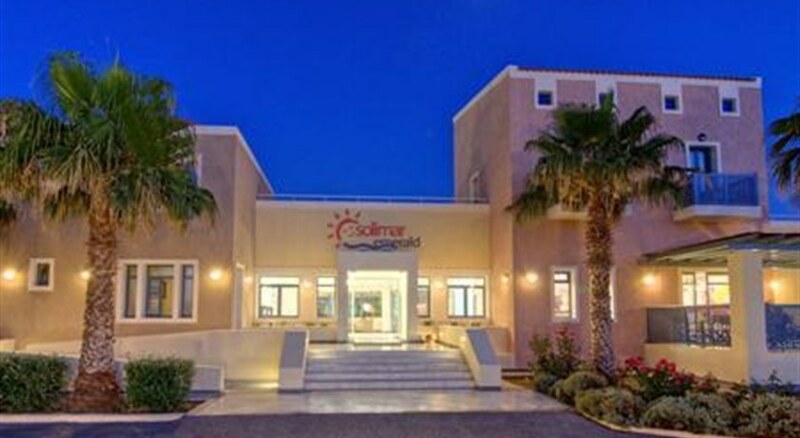 Location Solimar Emerald is situated in the touristic area of Adelianos Kampos only 7km from the center of Rethymnon which can be easily reached by public transport. The beach can be found at a distance of 100 meters. Facilities This charming family complex offers: reception with TV lounge, Wi-Fi internet access (with extra charge), restaurant, snack bar swimming pool with seperate children's pool and playground. Beach & Pool towels are available upon deposit. 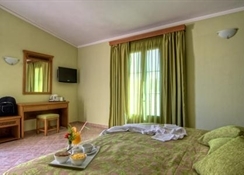 Accommodation The complex consists of 29 rooms (studio, maisonette and junior suites). All rooms offer air-conditioning, satellite TV, mini fridge, tea & coffee making facilities, hairdryer, telephone, Wi-Fi (at extra charge) and balcony or terrace. The junior suites offer an additional bedroom. 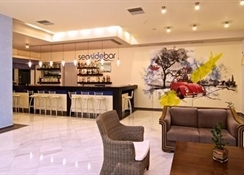 Sports / Entertainment Billiard (extra charge), table tennis, electronic games (extra charge) Meals The hotel can be booked on All Inclusive basis All meals in buffet style. Snacks between 11.00 - 12.30 hrs. & 15.00 - 17.30 hrs. Coffee and cake from 16.00 - 17.00 hrs. Local alcoholic and non alcoholic drinks from 10.30 - 23.00 hrs. Payment Master & Visa are accepted.